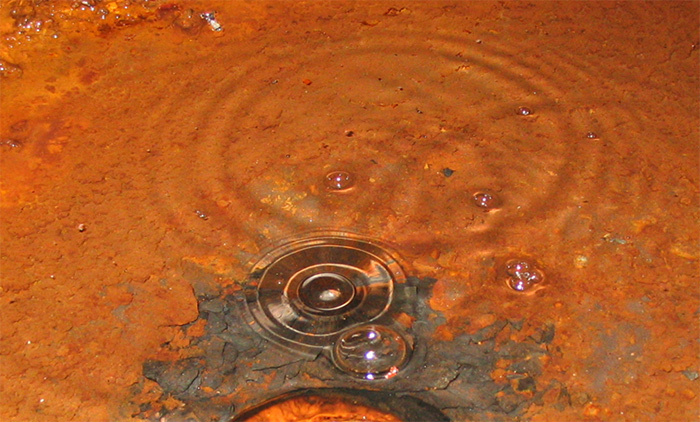 Gas bubbles from briny water emerging from the floor of a deep mine. The water’s chemical composition could feed microbes, if any are living here, 2.4 kilometers underground. Water gushing from a deep mine in Ontario has been isolated from the surface for more than a billion years, a Canadian-United Kingdom scientific group reported today. Intriguingly, the water contains hydrogen and methane, which support bacteria and bigger organisms in the ocean depths, another location where sunlight, life’s usual source of energy, is unknown. 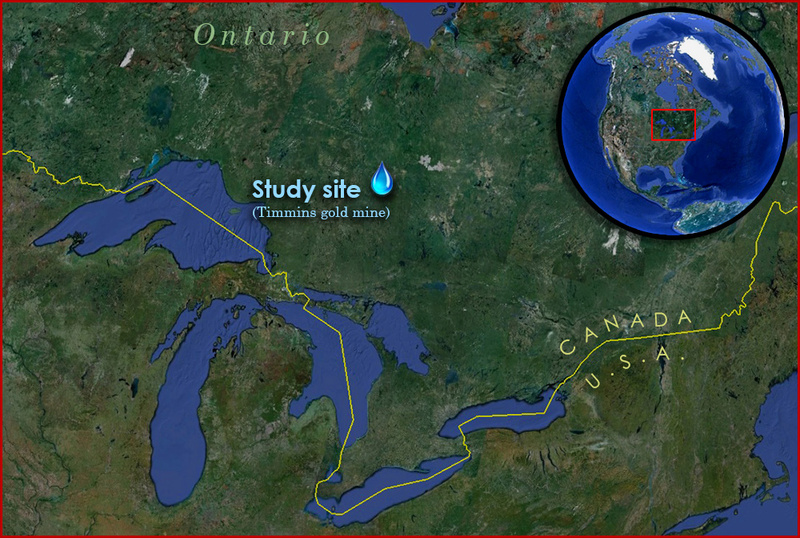 Several analyses indicate that the mine water has been underground for 1.5 to 2.5 billion years, more or less. Tests for bacteria in the Ontario samples are not complete, but scientists have already found microbes trapped for millions of years in a South African gold mine. The new study could expand the size and age of the immense bacterial realm beneath our feet, and could even help justify the search for life inside Mars, where geologically quiet regions may retain the liquid water that dominated the planet’s surface billions of years ago. In deducing how long the water has been isolated from the surface, the researchers focused on inert gases like helium, xenon and argon, which abstain from chemical reactions. The isotopes of an element are chemically identical but have different physical properties, such as mass. Particular isotopes can only come from a limited number of sources, and do not undergo radioactive decay. The researchers calculated that the accumulation of helium-4 would require about 1.14 billion years. Argon-40, another stable isotope, derived from potassium, would require 1.5 billion years. Those dates could be off by hundreds of millions of years in either direction. Close-up of a tubeworm located deep in the Gulf of Mexico. 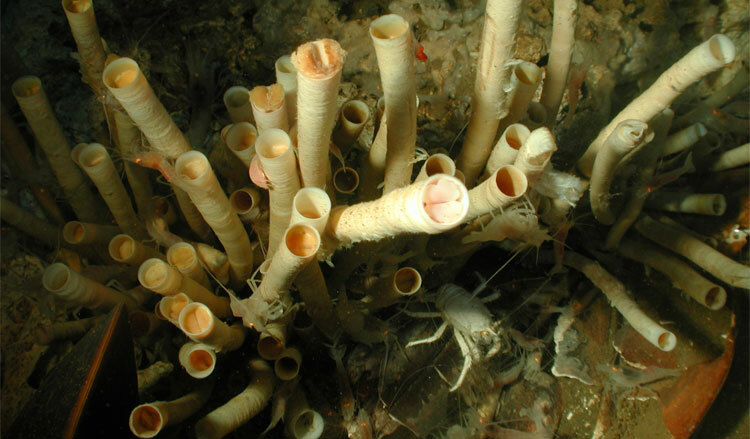 Bacteria living in the tubeworms metabolize sulfide compounds, creating “chemosynthetic energy” that sustains both organisms. The final step is to match the xenon concentration in the underground water to a time when the same concentration was present in the atmosphere; this process yielded an age of about 1.5 billion years. The study gives a new view of how water behaves deep underground, says Ballentine, who studies fluid migration. 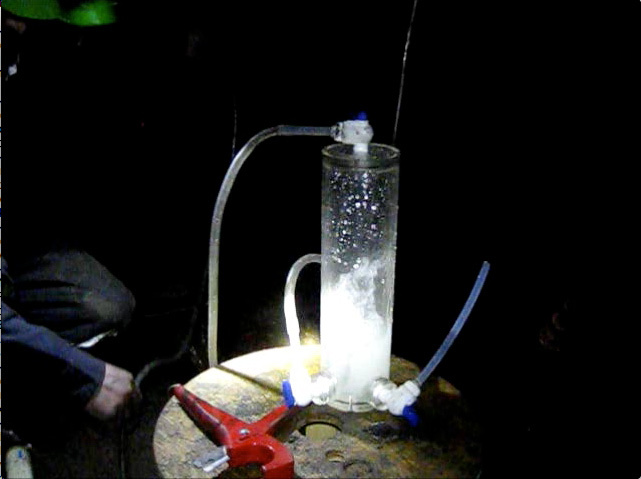 Knowing how fluids form and move will, for example, shed light on what may happen if carbon dioxide gas is pumped underground to reduce greenhouse gas pollution.